Need a new prescription lenses? Have a problem? Can’t decide? Then, Hoya Single Vision, Progressive & Multifocal Lenses is your brand. The manufacture a range of Single Vision Prescription Lenses to Highly Customized Free Form Progressive Lenses also known in Malaysia as Multifocal Lenses. Since eye-glasses were invented lens designs have been a little like a “one-size-fits all”. HOYA was one of the first to revolutionize lenses through their innovative design and ongoing research and development. 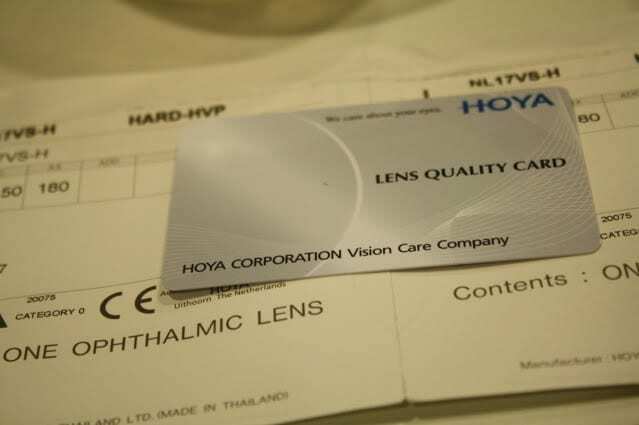 HOYA supplies premium quality lenses to suit everyone’s individual needs and lifestyles. We offer a complete range of single vision and multi-focal from Hoya lenses to suit your lifestyle needs. Single Vision Lenses for distance vision or near vision. To help correct your vision in the distance ask your optometrist about HOYA NuLux EP lenses. These lenses are carefully designed utilising cutting edge technology to be significantly thinner, flatter and lighter than regular lenses, providing you with wider, clearer vision and all day comfort. The advanced technology of the NuLux EP lens design takes into account your ‘eye movements’ reducing eye fatigue and eye strain, offering you clear vision all day. Sick of taking your glasses on and off all day long? Single vision lenses are typically not the solution for your reading needs. Single vision reading glasses are only suitable for viewing up to 40cm in front of you, anything further away will be blurred. 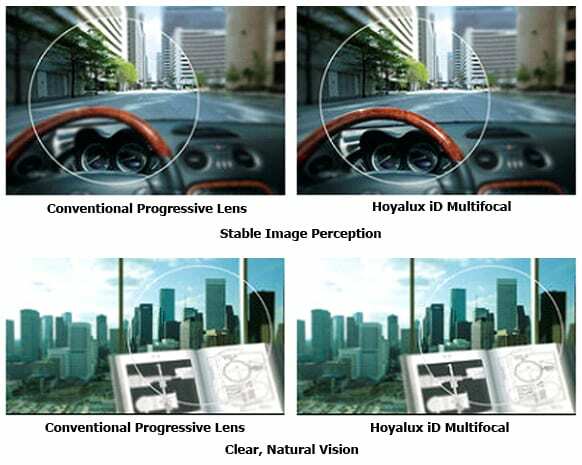 HOYAlux Desk lenses are like a single vision lens, however with the added benefit of extended focus for up to 2 meters so that you will have clear vision for not only reading but for looking around. For example if you are sitting at a dinning room table and you are reading your newspaper, with reading glasses you will only be able to see and read the page whilst the food on the table and any people sitting at the table will appear blurred. With Desk lenses the page will be clear as well as the food on the table and the people around you. Desk lenses are especially well suited for the office environment. Offers all day comfort without the repetitive task of taking your single vision glasses off and on all day. Helps prevent eye fatigue and irritation, as well as headaches. Provides all day comfort and convenience, in all working conditions. The Progressive Lenses or Multifocal Lenses are best use for individuals who has reading problems. At Malaya Optical in Damansara Uptown or Subang SS15, our Optometrist are qualified to prescribe various types of Hoya Single Vision, Progressive & Multifocal design that best suit your lifestyle and needs. Regular or standard multi-focals are a little like a ”one size-fits-all” and can take some time to get used to as often wearers seem to experience image distortion and an unbalanced feeling throughout the day. iD LifeStyle lenses offer visual freedom and a confident, balanced feeling throughout the day. With wider fields of view and optimised visual accuracy for all day comfort. The iD LifeStyle lens also offers smooth interaction between near and distant viewing and stable image perception in all directions. Unlike regular multi-focal lenses, iD LifeStyle lenses are optimised to each person’s prescription, providing clear stable vision and fast adaptation. For people who often suffer from eye strain and headaches the iD LifeStyle lens is designed to reduce eye rotation which in turn reduces eye strain and headaches. For people who want all day comfort the iD LifeStyle lens is designed to give you a wider field of view with less head movement and all day comfort. For people who want natural vision without adaptation concerns the iD Lifestyle lens offers effortless and natural progression from near to intermediate to distance vision at all times.